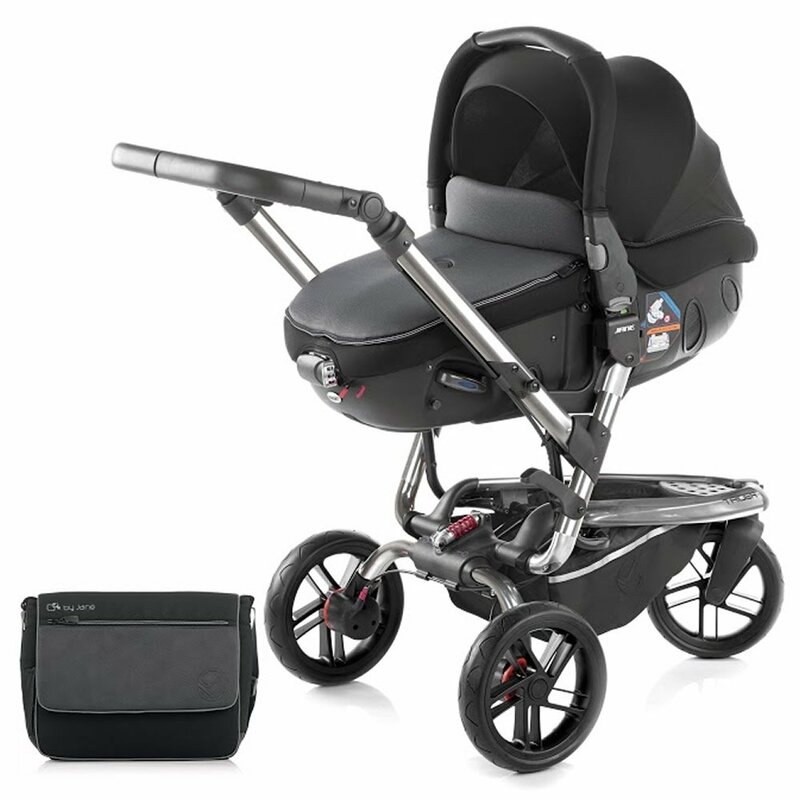 TRIDER + MATRIX LIGHT 2 TRAVEL SYSTEM INCLUDING A FREE UNIVERSAL MATRIX RAINCOVER AND LAMBSKIN LINER .THE ALL-TERRAIN WITH SHOCK ABSORBER TAKES ROUGH WITH SMOOTH Matrix Awards The Jané Trider lets you enjoy your trips out with complete freedom. It offers you a chassis with minimalist style but with all the benefits of an extreme design. The three large high performance puncture-proof rubber wheels are perfect for adapting to any terrain and surface, and the front wheel swivels to give maximum freedom of movement. The brilliant long length suspension stroke with adjustable central shock absorber, offers the baby maximum comfort. This travel system package comes with the new multi-award winning Group 0/0+ Matrix Light 2, which is the revolutionary multi-functional infant car seat that turns into a carrycot. The evolution of the award-winning classic Matrix, it is the only infant car seat on the market (patented) that offers the option of safely travelling with your baby in the sitting up or lying down position in the car, especially recommended by health officials for long journeys. This means that if your baby is sleeping in the Jané Matrix Light in the house he can be safely moved to the car, taken to the shops, and brought back home again without ever having to be moved or disturbed from sleep. It also delivers great value for money as it can be used 24/7 – for overnight sleeping when used with a mattress, just like a conventional carrycot, and for naps during the day, yet converts effortlessly into a car seat when required – giving you the best of both worlds at a fraction of the price. HEALTH BENEFITS OF MATRIX SYSTEM Health officials and medical studies agree that to minimise periods of oxygen desaturation, newborn babies should be transported in a lie-flat system which is the healthiest way for them to travel especially on longer journeys. This position facilitates newborn respiration, nurtures the abdomen and aids optimal spinal development. Includes Matching Changing Bag and Trider Raincover we will also include a Universal Lambskin liner and a Univeral large Carseat raincover to fit the matrix light.Trider Three large puncture proof all-terrain wheels with new PU tyres that are 10 times more hard-wearing than traditional tyres and with great shock absorbing properties. Adjustable suspension with central shock absorber, this absorbs the shocks to baby produced by rough road surfaces, improving your baby’s comfort.